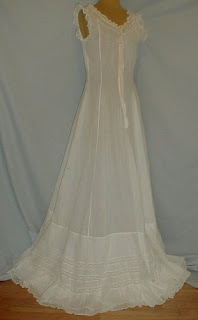 An enchanting 1912 Belle Epoch era full cotton and lace trimmed slip. The neckline and armscyes are trimmed with lace. 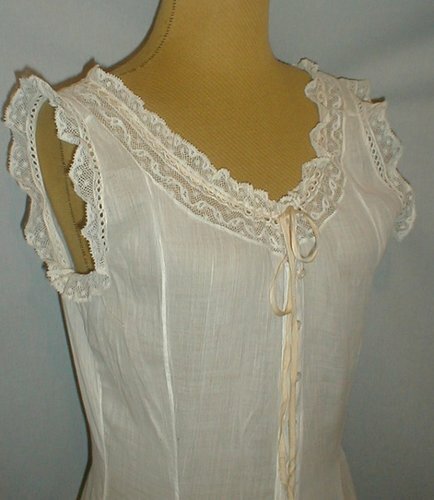 The neckline has a pink satin drawstring. 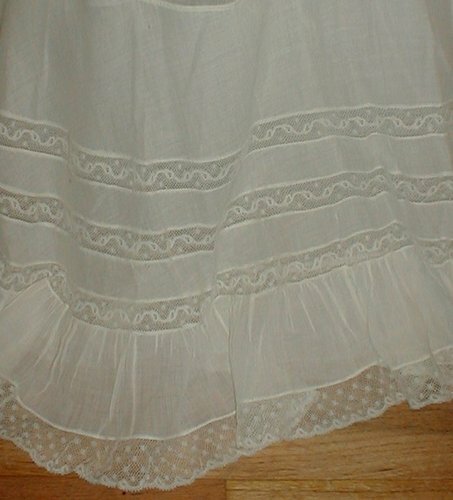 The hemline has a double tiered ruffled bottom. 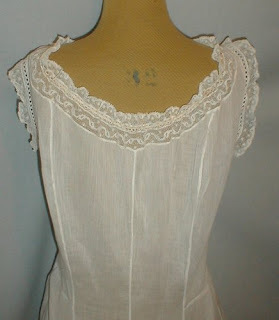 The top tier is trimmed with inserts of lace. 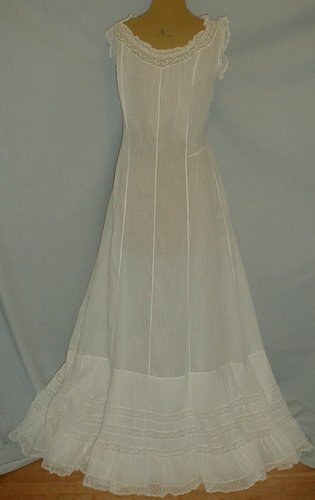 The slip has a front button closure. It is in very good condition. There are a couple of pencil tip size holes and a few scattered small age spots. This is a very wearable slip. 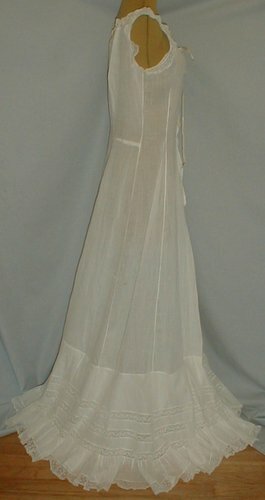 Bust 36 Waist 28 Length from shoulder to hem 61. What struck me about this is you can easily see the seam lines. It looks fairly simple and would be great to re-create for under a late 1900's/early 1910's dress. 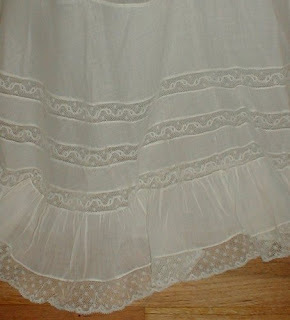 What a lovely example of a princess petticoat! At least, that was what it was called back in the 1880s.